I had a nice woodshop in our last house in Corpus Christi, TX. This was my ‘man cave’. It was nothing fancy but it was a place where Cody and I could go to get away and enjoy making sawdust. My first real big project was this cool rocking cradle for my first grandson Gage. 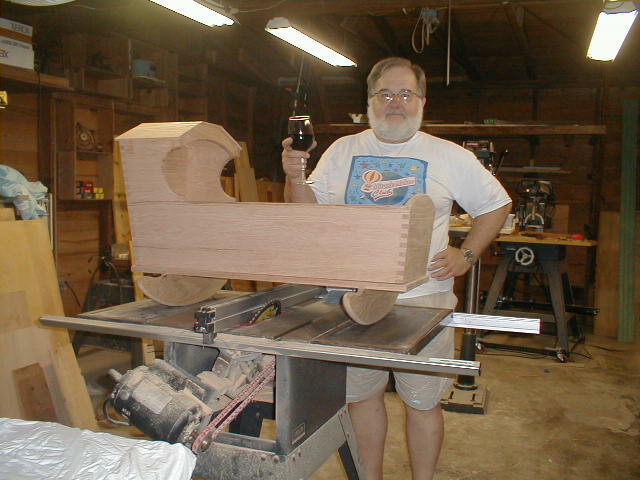 Here I am, in March 2004, celebrating completion of this project with a glass of Llano Shiraz. 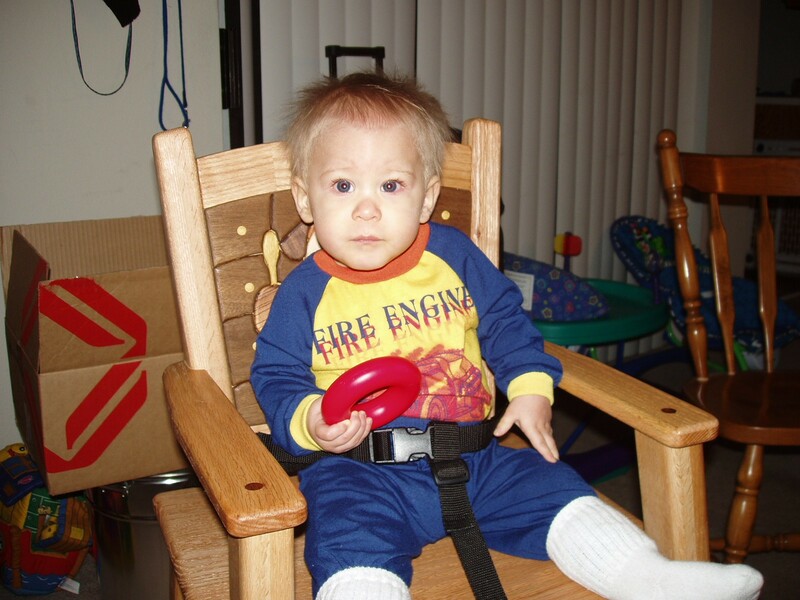 In November 2004, I started working on a high chair for Gage. This was going to be his Christmas Present from Papa. 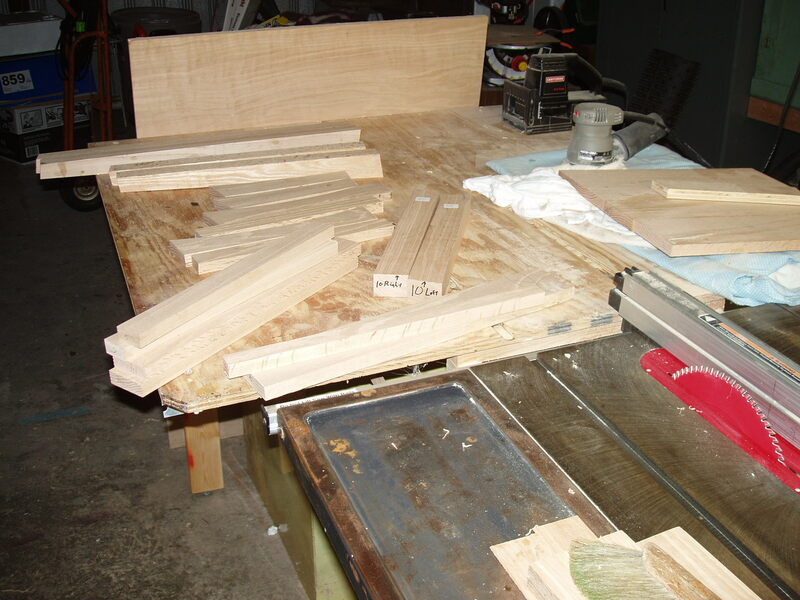 I started with a stack of Red Oak. Which was transformed to this. Then I took another stack of wood. 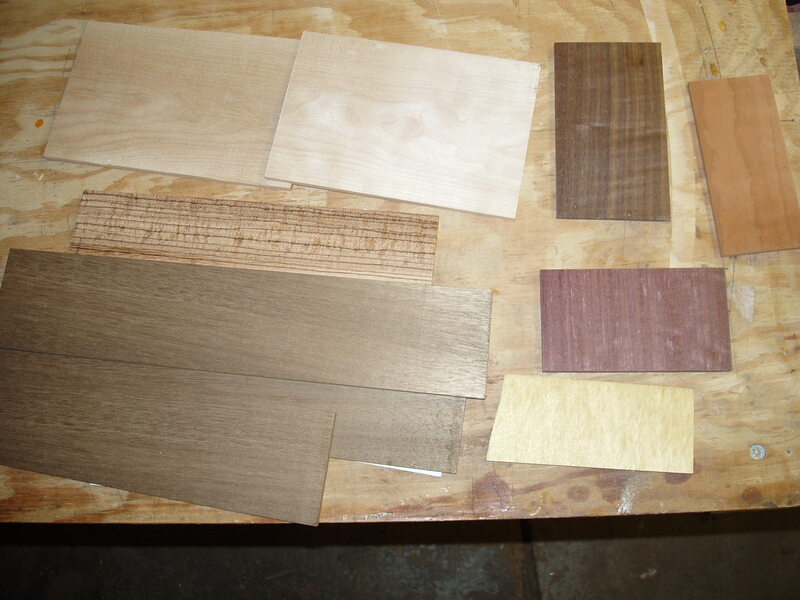 The species represented here included (from top left) Ash, then down to Zebra and Mahogany. Yellow Heart is in the bottom right, then up to Purple Heart, Cherry at the top right then left to Cocobola. From this, I cut a bunch of smaller pieces. 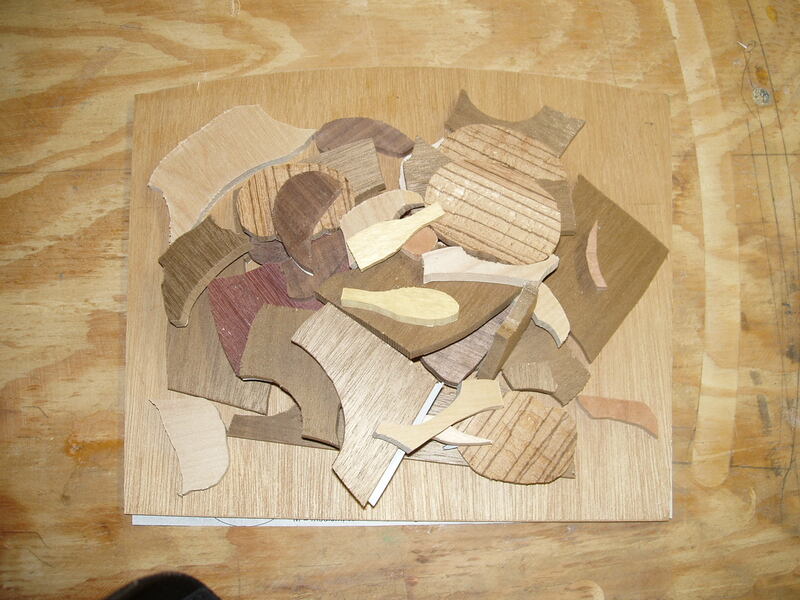 These pieces then had to be put together to complete the intarsia puzzle. The final result looked like this. Gage liked his present. And, while I was busy in my man cave, G’Mee was busy in her sewing studio. 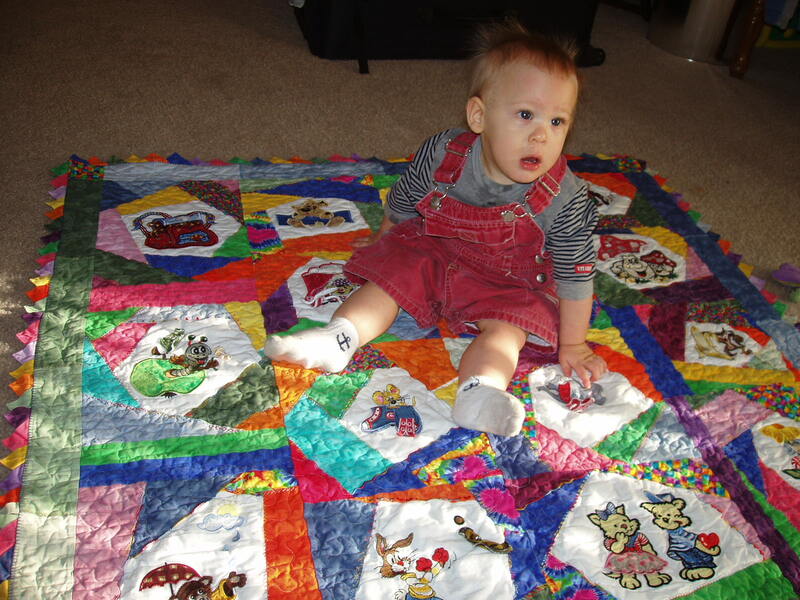 This is a 3-D applique quilt she made for Gage. Thanks for stopping by, y’all come back now. 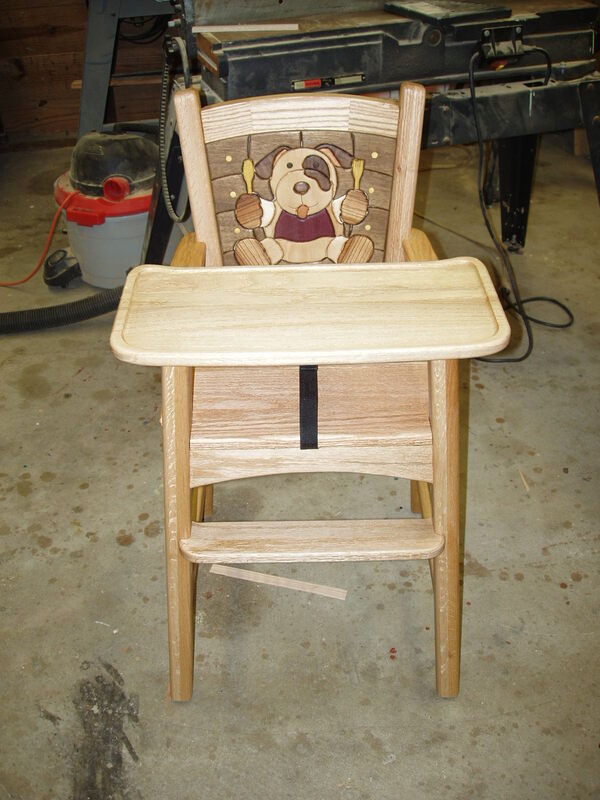 This entry was posted in Friday Photo, WoodShop and tagged cradle, family, highchair. Bookmark the permalink. And we still have both of those items!!! Save them for the next generation. 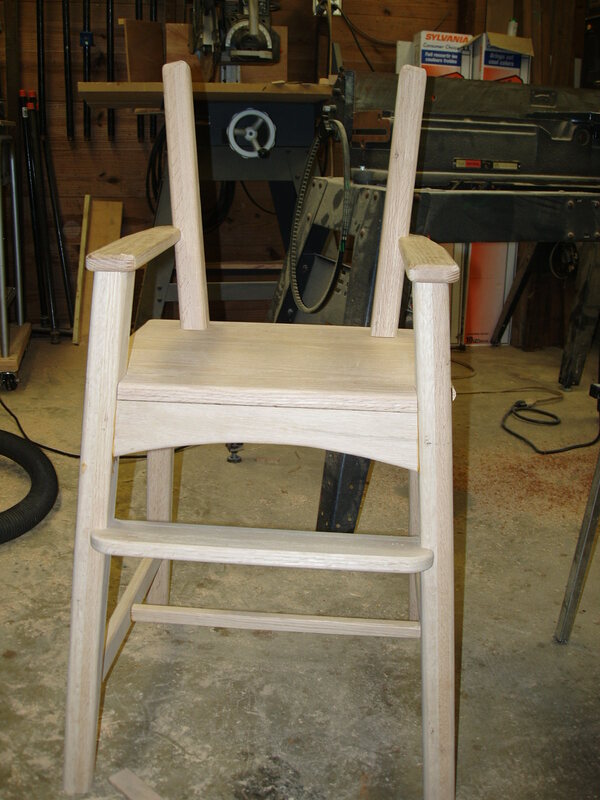 Elle, there are times I wish I had access to a woodshop. I would not want to trade our living in the RV for that. 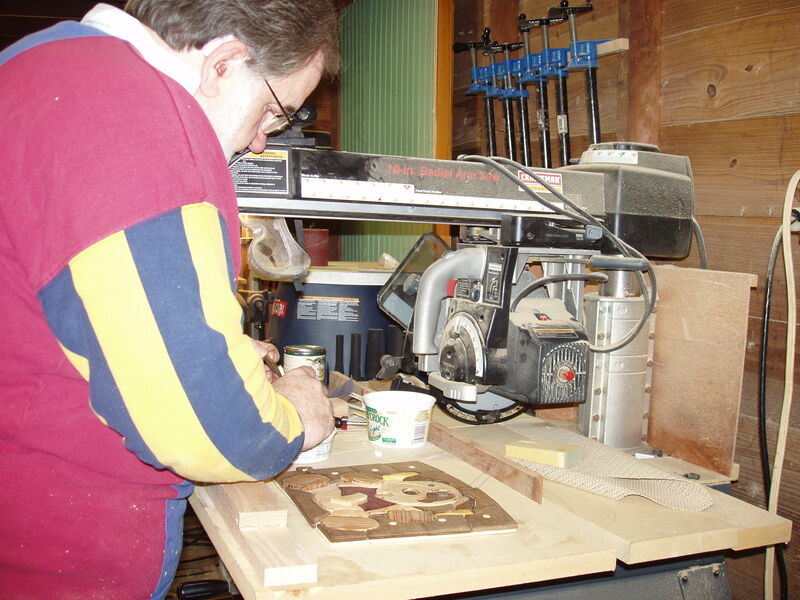 I do have other opportunities to ‘make sawdust’. Hubby was just watching a show on wood working. There are times he misses his man cave and I miss my craft room. Beautiful pieces! Thank you. That was a challenging piece made easier by instructions. We were able to get Carol’s equipment stowed in the RV. We are working on a Carol’s Corner post called stashing the stash.